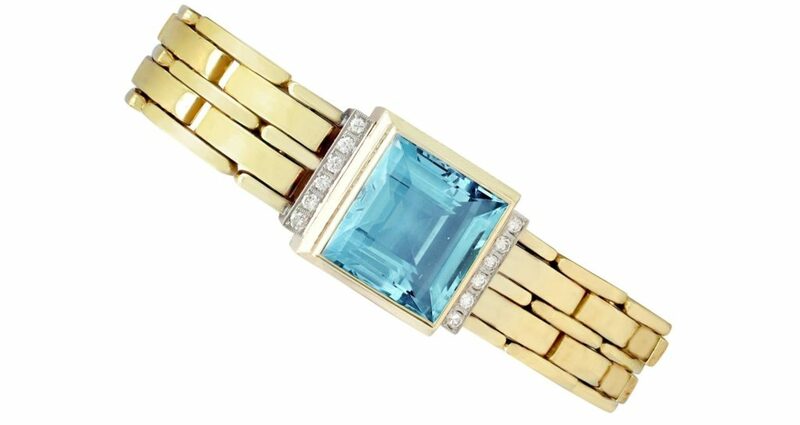 A stunning vintage Art Deco style 21.68 carat aquamarine and 0.38 carat diamond, 14 karat gold bracelet; part of our diverse jewelry and estate jewelry collections. This stunning, fine and impressive Art Deco style gold bracelet has been crafted in 14k yellow gold with 14k white gold settings. 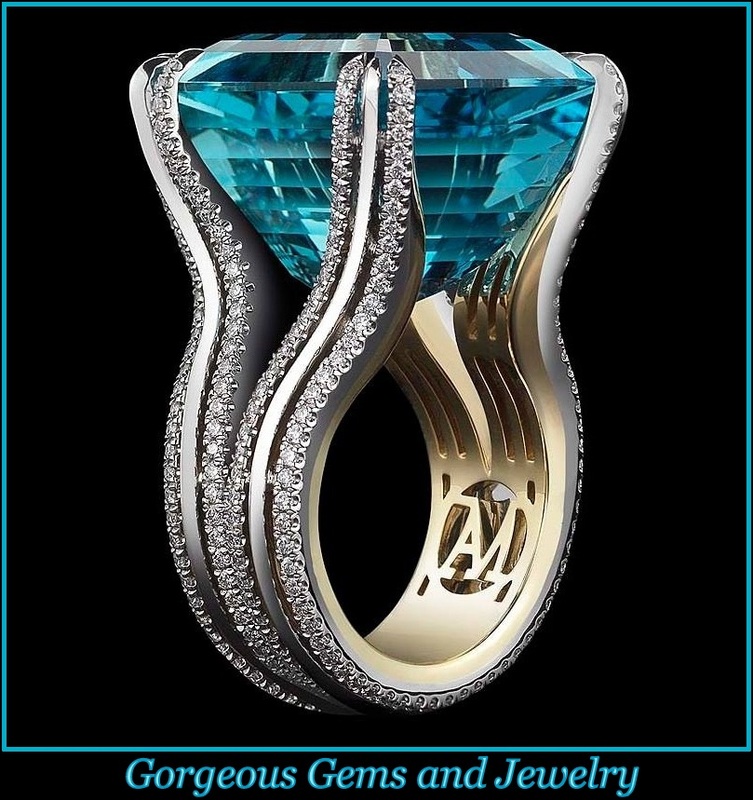 The feature setting is ornamented with a collet set 21.68ct square step cut aquamarine, displayed within a plain and unembellished chamfered 14k yellow gold frame. The aquamarine is flanked on either side by a elongated 14k white gold setting, embellished with a total of twelve pavé set modern brilliant round cut diamonds. The aquamarine yellow gold bracelet is composed of eleven pairs of elongated, subtly domed clinks articulating via ten sets of three thinner links of the same length. The integrated push fit clasp is situated discreetly to the reverse, benefiting from the additional security of a hinged safety clasp to either side. The bracelet is hallmarked to the reverse with the 14k gold fineness mark (585). This stunning substantial Art Deco style bracelet is supplied with an independent diamond grading report card.